Aircraft OEM wings are predominately carbon fibre, this carbon fibre may become damaged in certain areas during the wing build. To repair this carbon fibre the area has to be sanded back to good material to allow new material built up in its place. This new material needs to be cured with heat applied to the correct area to speed up the cure timescale. The current solution was a “hit and miss” approach as the heat couldn’t be applied directly so cure times could not be predicted thus impacting on the build rate and quality of the wing repair. 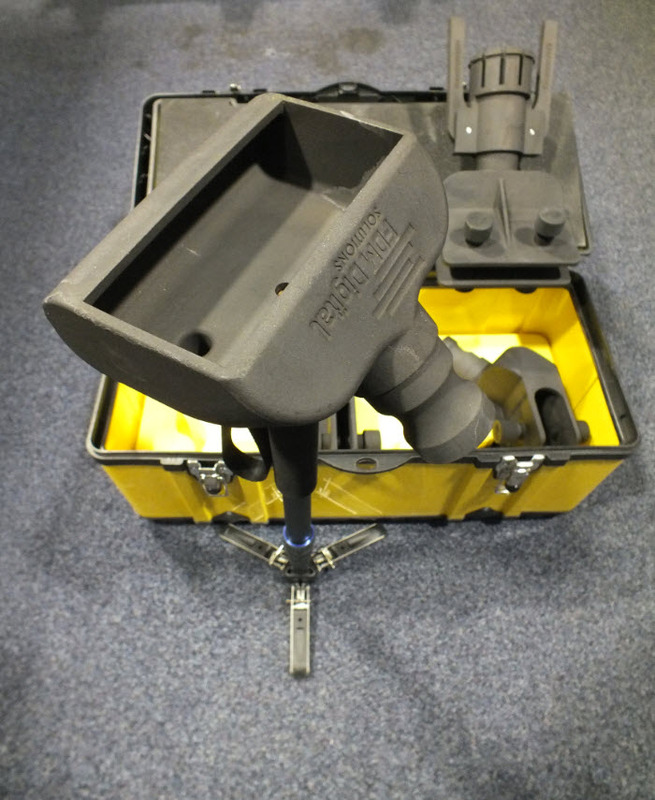 A 3D printed Bespoke end application kit was designed and manufactured by FDM Digital Solutions utilising HP’s Multi Jet Fusion technology with the PA12 material which could withstand the temperatures required to successfully cure the damaged areas. A range of different end applicators were designed in house so that any area on the wing could be cured within the correct timescale. 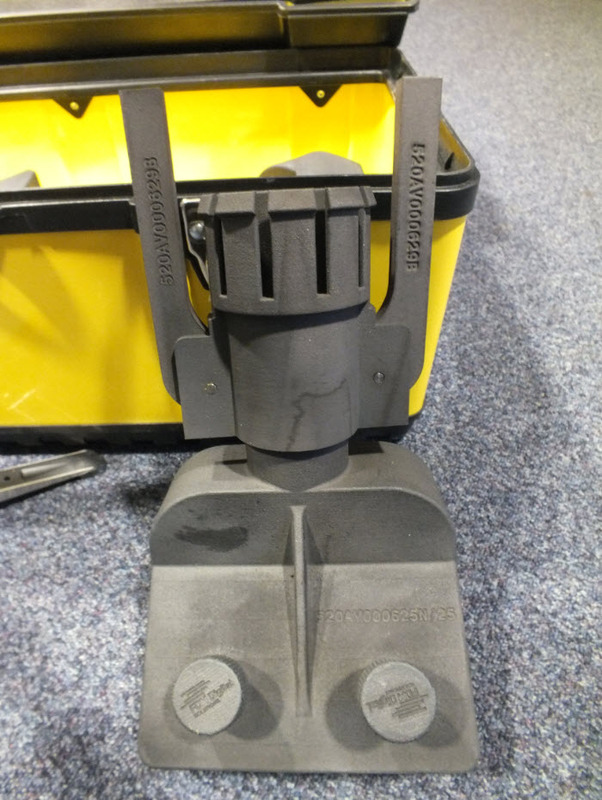 Also in each kit is a quick release clamp that attaches to the heat hose meaning that any of the different end applicators could be swapped and changed quickly. 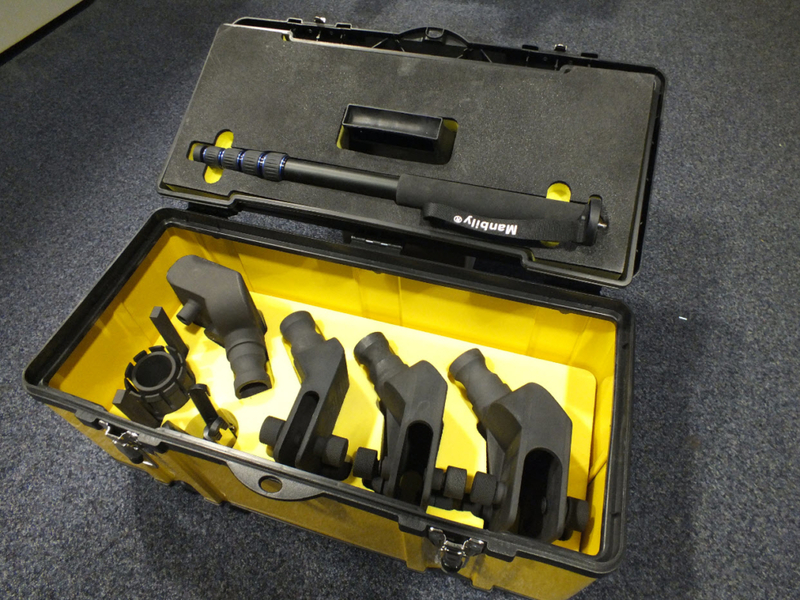 The final parts were supplied in their own kit box with CNC machined shadow foam.